Going into Doctor Who’s next season, we knew that we would be counting down to the Twelfth Doctor’s doom thanks to Peter Capaldi’s announcement of his departure from the show earlier this year. But if this new trailer is anything to go by, it seems like the end is coming a bit sooner than we thought. Not much of this latest teaser from the BBC is actually new, in comparison to the most recent full trailer. We get a few more snippets of the delightfully retro (and incredibly creepy) ‘60s Cybermen here, and a better look at that strange new female Ice Warrior. 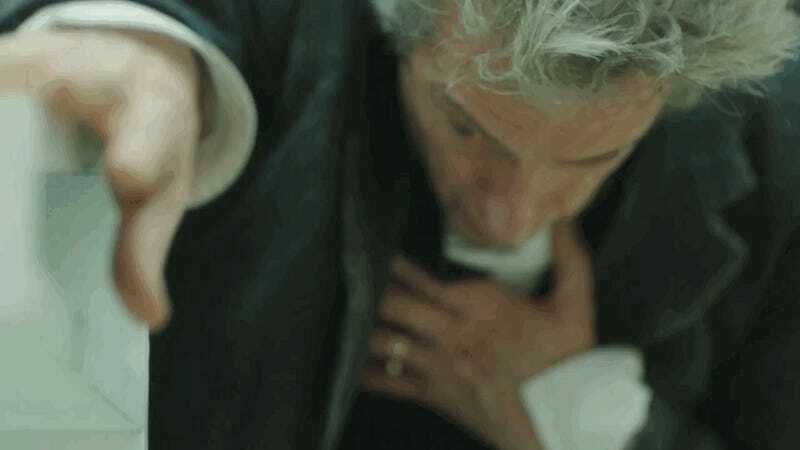 The newest moment comes at the very, very end... as the Doctor clutches his chest with one hand, while the other begins to glow in that trademark flurry of regeneration energy. It seems like before season 10 is over, the Doctor will know that his end is near, if this short snippet is anything to go by—which is surprising, because as far as we know as an audience, Capaldi’s final episode isn’t the season 10 finale, but this year’s Christmas special. So is this a false alarm? An ominous sign of things to come in December? Maybe even a regeneration fake out? It wouldn’t be the first time Doctor Who has pulled a bait and switch with a regeneration. We won’t have to wait much longer to find out—Peter Capaldi’s final season of Doctor Who begins April 15.